I was a bit late to this story, but just before Christmas, National Geographic announced that one of the world’s tallest trees, the 247 foot ‘President’, a giant sequoia in Prairie Creek, California, has had its picture taken. It’s a composite picture actually, stitched together from 126 separate shots. I only mention it because I’d like to recommend one of the best books I’ve read recently called The Wild Trees, by Richard Preston. It’s about one of the last unexplored places on earth – the forest canopy – and tells the often hair-raising story of how the huge trees of northern California were first climbed in the 1960s and 70s. The story is poetic, quixotic and often dramatic, with people climbing and then falling out of trees and trees themselves being felled by high winds. Since reading it, the book’s stayed with me and I still think about it. I grew up climbing trees myself, so the book had extra appeal for me, but I recommend it for anyone who enjoys an unexpected and well-told story and wants to know more about one of the world’s last frontiers. 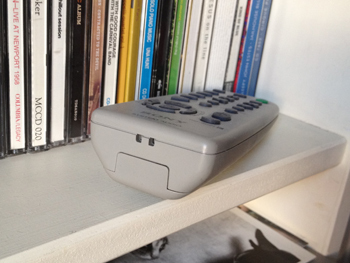 It doesn’t help your mood when your Sony remote is sitting on a nearby shelf looking mightily pissed off. It’s been glaring at me for a few weeks now, so I’ve decided to turn it round. I’ve started collecting these random faces on a Pinterest board, Faces I’ve seen. 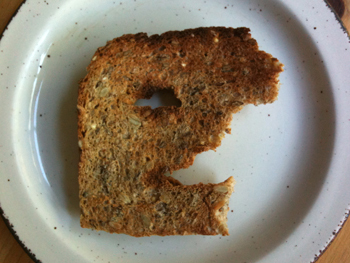 It’s an example of pareidolia. Since we’re now in the season of the church year when Last Things are on the menu, here’s an interesting take on the apocalypse which I read about on the wonderful BoingBoing site. I hadn’t realised that serious Lego enthusiasts have been creating post-end of the world scenes for several years using the world’s favourite Danish plastic bricks. 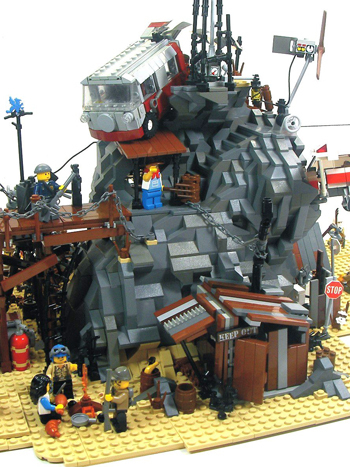 Following in the footsteps of Mad Max and other post-apocalypse movies, the Lego creations feature shattered highways and buildings, and heavily armed groups of plastic figures trying to lash together their own shanty-style refuges in a newly hostile world. That sounds bleak, but the best brick-built creations are full of ingenious and humorous detail as they try to capture life after The End, however it’s come about: nuclear exchange, pandemic, global meltdown, alien invasion, zombie attack… take your pick. I haven’t yet found any Lego creations modelled on the Rapture or the Great Tribulation of fundamentalist theology, but they must be out there. BoingBoing recommends the work of Kevin ‘Crimson Wolf’ Fedde for sheer ingenuity (that’s his piece in the picture above). 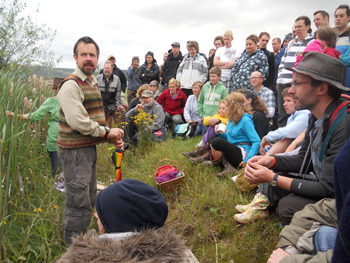 I joined 60-70 people for a tramp across the Greenbelt site early this morning, foraging for natural food. I’d just arrived after a decent English breakfast in a Cheltenham hotel, but most of my fellow trampers had that ‘been living in a tent for three days’ look about them and possibly needed the extra protein. Guiding us on a safe course between toxic mushrooms and the kind of berries you can safely turn into jam were Bruce and Sara Stanley (she’s a development chef and baker, he’s a project manager and life coach), who have recently bought a small farm in the Cambrian mountains of Wales. Over the next hour we found a colourful (ok, mostly green) variety of plants growing unseen under our feet, including nettles, sorrel, rushes, rowan, yarrow and hawthorne, which can be turned respectively into twine, salad, loft insulation, jelly, bandages and ketchup. Bruce and Sara waded into ditches and marched across fields to pick and show us the good stuff they’d found, and then shared found-food tea and eatables which magically emerged from hampers and thermos flasks. An eye and mouth-opening hour. Follow Bruce and Sara’s food adventures on Twitter. OK, more gathering than hunting, but I’ve been coming home from walking the dog the past few nights with armfuls of eucalyptus bark. One of the trees I pass each evening is shedding like crazy at the moment. 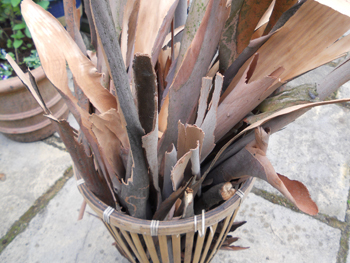 The penny dropped a couple of years ago that eucalyptus bark is the perfect fire starter for a winter hearth. It’s full of flammable gum and just roars away once it’s hot enough, turning even the most stubborn fire into an aromatic inferno. 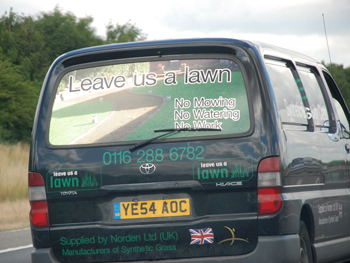 On the M40 yesterday, spotted this van belonging to a synthetic grass company. ‘No mowing, no watering, no work.’ Yeah, and no lawn really. Lovely headline, though. 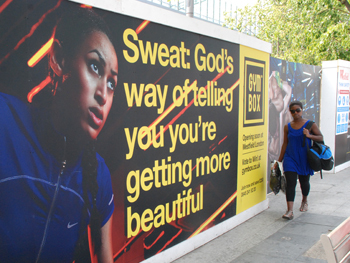 Seen outside Westfield, Shepherd’s Bush, where a new gym is about to open. The statement seems a bit optimistic, but nice to see some theology from the Hallmark Cards school happening on the street. In Berwick upon Tweed today, which is perhaps the country’s most famous border town, it having switched from being English to Scottish at different times in its history. 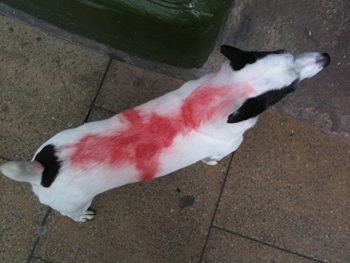 I was wondering whether the town feels any ambivalence about supporting England in the World Cup, but after looking down and seeing this patriotic Jack Russell on the pavement, I see I needn’t have worried. I was in London for lunch anyway today and couldn’t resist walking down to Westminster to smell the transfer of power. 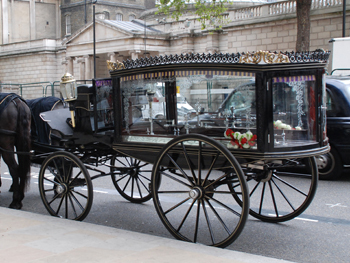 At the top of Whitehall I ran into this Victorian horse-drawn hearse parked up on the side of the road. Can’t imagine why it was there on standby. 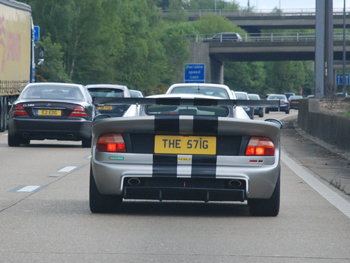 Spotted on the M25 this afternoon, moving at a sluggish 80mph. Couldn’t see if the driver was a Darth Vader lookalike.